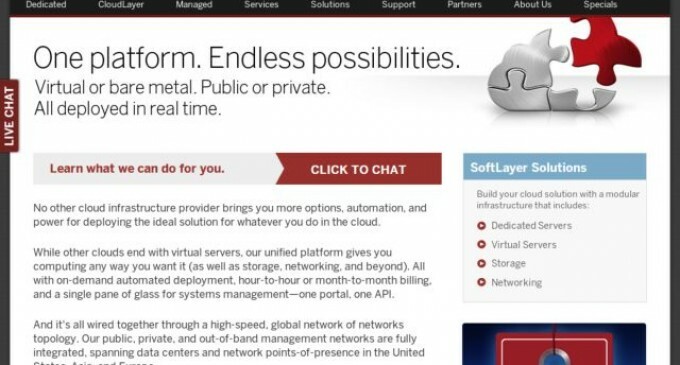 Web Hosting News – Dallas, Texas— SoftLayer, an IBM Company, today announced that SilverSky, a leading provider of cloud-based information security and messaging solutions, has chosen SoftLayer to help power its cloud-based email and Email Protection Suite offerings. SilverSky’s comprehensive security services, running on SoftLayer’s cloud platform and distributed through IBM’s global sales channel, will enable businesses around the world to quickly move email workloads and critical information into the cloud in a secure and cost-effective way. As a provider of cloud-based information security, secure messaging and collaboration services, SilverSky protects $525 billion in customer assets and handles more than 500 million security events each day. SilverSky’s growing customer base includes 6,700 organizations around the globe in the financial services, retail, healthcare, energy, critical infrastructure and manufacturing sectors. SilverSky chose SoftLayer to serve this dynamic set of customers from a more comprehensive infrastructure platform at a lower cost, with significant improvements in SilverSky’s ability to scale and customize environments as its business needs grow. The SoftLayer platform empowers SilverSky with state-of-the-art disaster recovery services that ensure automated redundancy and immediate recovery times, providing unparalleled availability and reliability for customers, as well as SLAs of 99.999 percent. With data centers worldwide, SoftLayer gives SilverSky greater opportunity to increase its international presence and reach new markets. In addition, with support from IBM sales and distribution channels, SilverSky can also facilitate even more growth, enabling customers to purchase its services directly from IBM or through SilverSky and its other partners. A recent independent study commissioned by SilverSky revealed that security decision-makers want to move critical functions, such as email, to the cloud because they expect it will reduce expenditures (67 percent), simplify operations (66 percent) and increase the reliability of business functions (56 percent). However, strong security and privacy concerns continue to inhibit widespread cloud email adoption, far surpassing other barriers. Whether a high-tech start-up with high computational needs for generating content such as video, photos or a small medical clinic that needs to share health records—companies are seeking out new low-touch and low-cost security offerings. IBM is the global leader in cloud with an unmatched portfolio of open cloud solutions that help clients build, rent or tap into cloud capabilities. No other company has the ability to bring together unique industry knowledge and unmatched cloud capabilities, that have already helped more than 20,000 clients around the world. Today, IBM has more than 100 cloud SaaS solutions, 37,000 experts with deep industry knowledge helping clients transform and a network of more than 25 global cloud delivery centers. Since 2007, IBM has invested more than $6 billion in acquisitions to accelerate its cloud initiatives. Most recently IBM acquired SoftLayer with more than 21,000 clients in 140 countries to further build out its IaaS portfolio with an easy and secure on ramp to cloud integrating IBM SmartCloud. For more information about cloud offerings from IBM, visit http://www.ibm.com/smartcloud. SoftLayer, an IBM Company, operates a global cloud infrastructure platform built for Internet scale. With 100,000 devices under management, 13 data centers in the United States, Asia and Europe and a global footprint of network points of presence, SoftLayer provides Infrastructure-as-a-Service to leading-edge customers ranging from Web startups to global enterprises. SoftLayer’s modular architecture provides unparalleled performance and control, with a full-featured API and sophisticated automation controlling a flexible unified platform that seamlessly spans physical and virtual devices, and a worldwide network for secure, low-latency communications. For more information, please visit softlayer.com. infrastructure and manufacturing sectors. For more information, visit SilverSky.com.